It is gratifying to be of help to colleagues, including those who like I, see beyond being an "employee" of managed care or a spin-off victim of its impact upon fees and control over clinical practice. Whether you decide to continue in clinical practice, stretch its boundaries, supplement it with other enterprises, or replace it with other work as I do, I encourage you to grow and try new things. In so doing, you not only help people, which is why we became psychologists, but expand the horizons of psychology and yourself. I am a staunch supporter of psychologists as experts in everything dealing with people (which is why I developed the slogan "psychologists are the people experts" that NYSPA uses in its Public Service Announcements on TV and radio). I am proud of how smart, well trained, and caring psychologists are. In addition, I am impressed with their potential for creativity and innovation. Venturing beyond the familiar is risky and being a pioneer can be scary. Comfortable roots for existentially re-defining my essence were there all along, but I didn't realize I could combine lifelong hobbies professionally. From the age of two, I wanted to become a doctor to help people (although didn't know it was as a psychologist rather than pediatrician until college) and my mom hooked me on public speaking. At school, I was always the narrator in plays (rather than an actress) and likewise loved to write non-fiction. My photographic memory led to enthusiasm for photography. Although fascinated with computers, fixing them, and taking to them like a duck to water since getting my first one in the early 1980s, working as a computer professional was not on my radar. I'm too gregarious to have believed I could be in the zone with a computer, but my computer style is focused on people relationships and communication. Becoming a computer professional happened serendipitously. 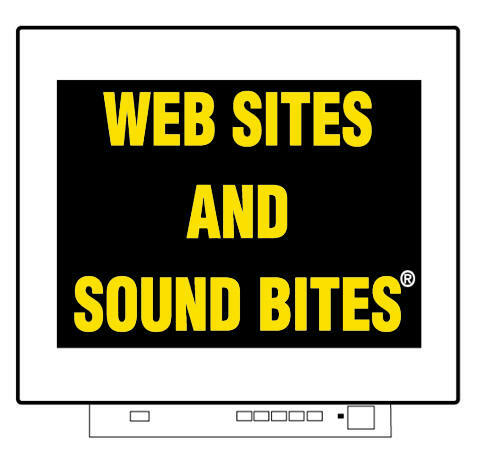 When planning my TV program in 2000, I wanted a web site for the program's audience. I found techies didn't know what psychologists do; the difference among psychologists, psychiatrists, and psychics; or our ethics. I learned web design, only intending to do my own web site. Psychologists who saw it asked if I would do theirs. A new niche! It taught me the importance of recognizing market needs when they appear. Since then, I am flooded with ideas for new markets for psychologists and coach psychologists in career fulfillment. I apply my long-term interests professionally. Through varied media, I bring the public good psychological information and psychologists who can help them. In designing web sites, I harness my enjoyment of visual aesthetics and writing, using computer, photo editing, and video editing technology. My passion for public speaking continues as I produce my TV program, give workshops and keynote addresses, and coach others to be comfortable public speakers in my "Public Speaking for Professional Success?quot; workshops. It took a while to find a common denominator for the varied things I do, in order to connect them in a memorable sound bite or elevator speech without seeming scattered or as if having multiple personalities. My speaking and multimedia tech skills are well integrated as I smoothly move among them so .....multimedia psychologist. I am grateful I found work so perfectly matched to me. It is satisfying, fascinating, and although difficult, fun. Of course, what fits me will not fit others. If you have not yet achieved your ideal work essence, whether within clinical practice and/or developing new services and products, I hope you will find what is as optimal for you as mine is for me. Be alert to opportunities to use your strengths and passions uniquely...grab them...and then tell the world so people use your services and products! 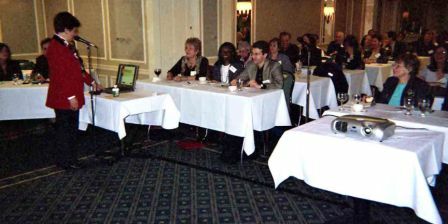 Public Speaking Workshop I conducted for the New York State Psychological Association on March 25, 2006, sponsored by its Clinical Division. American Psychological Association Preconvention Workshop I conducted on how to get free multimedia publicity, which included public speaking training and mock interview practice, for four hours on August 16, 2007. APA and its Independent Practice Division 42 sponsored this continuing education opportunity for psychologists. Click here for details. 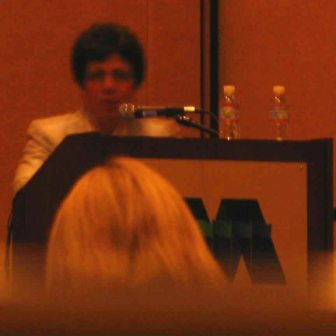 I gave a Workshop at the American Psychological Association Convention, "Your Own Web Site: For Independent Practitioners," sponsored by the Independent Practice Division on Friday, August 17, 2007. 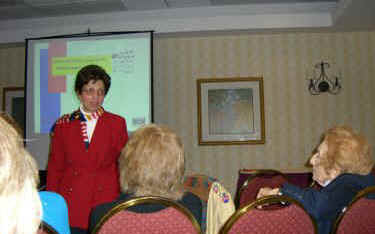 Workshop about my TV program, Dr. Carol Goldberg and Company, at the New York State Psychological Association Convention, May 4, 2007. Please contact me if your psychological association would like similar workshops. PowerPoint presentation for psychologists about expanding independent practice I did for the American Psychological Association 2006 Convention. After clicking on this colored font link, download the file to your computer by selecting "save" and a location to save it to, such as your "desktop" or a folder (just as you save other files). Note at this point, you must pick "save" not "open." After saving it on your computer, play the file by double clicking on it and if asked if you want to open it, this is the time to click on "open" (same as you are accustomed to doing with other playable files). The file should unzip automatically, but if it does not unzip and you want to download a free trial version of unzipping software, here is the link www.Winzip.com. You do not need PowerPoint installed because its viewer program is included in the file. Please click on the colored font for additional information. Recent articles I wrote with advice for psychologists. Samples of web sites I designed for psychologists you know. What psychologists you know say about my business advice, web design, and working with me. Isn't it time to get your own web site designed by an expert in psychology, not just technology? 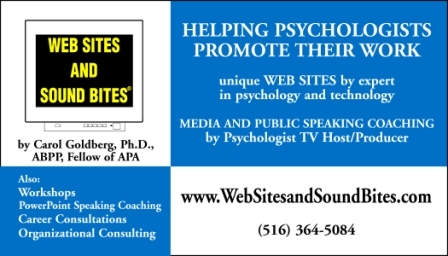 I help psychologists develop their work and promote it with an effective web site to succeed in changing markets.